The “Anarchist Collective” YouTube channel has produced a video entitled “Top Ten Arguments for Capitalism,” a video that is meant to disprove all of the major lies that are traditionally put forward by the system’s supporters. After watching the video, however, I am surprised at how poor a job the creator of the video did in achieving his goal of a thorough criticism of capitalism. There are quite powerful arguments that can be levied against the capitalist system and the alleged lies that defend it, but I see few of them being used here, and the arguments invoked that traditionally have a great deal of strength are used in a mostly ineffective manner. I have a generally high opinion of the Anarchist Collective, with their criticism of Austrian Price Theory being the strongest that I have ever seen. Unfortunately, however, this video that is key for their case for libertarian socialism over capitalism fails on all major fronts. I will briefly give an overview of what I see as the fundamental failures of the video, and of leftist libertarianism in general, before going on and overviewing the specific faults in the arguments made. Bellow is the reproduction of a text first published on my blog Crappy Town. It tries to establish the number of Soviet citizens that died as a result of repression by the Soviet state between July 1941 and May 1945 when the USSR was at war with Germany during the Second World War. It is part of my emerging working paper that tries to break down the 25 million losses of the Soviet Union in the Soviet-German War between its different causes. The Soviet Union under Stalin was a highly repressive state that engaged in repression of its citizens on a vast scale. Its repression was deadly and resulted in numerous deaths, even when the state had not explicitly set out to make repression lethal and to cause the death of those repressed. What is more, the four years of the Great Patriotic War were characterized by a sharp increase in the scale repression and the occurrence of deaths due to repression relative to most peacetime years under Stalin, including the immediate pre-war time. 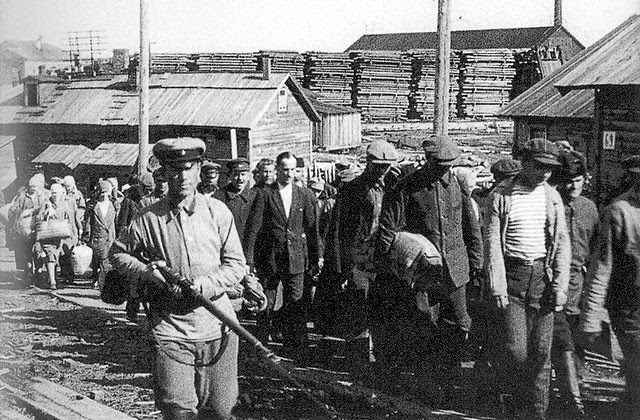 Archival data shows the gulag administration in the years 1941 through 1945 presided over the deaths of 1.02 million inmates of whom 622 thousand prisoners in labor camps of the gulag, 312 thousand in labor colonies of the gulag and 85 thousand in prisons. The total number of deaths the gulag was responsible for in this time frame may be even higher on the account of deaths among former inmates who died after their release but as a consequence of the conditions they had been subjected to during their imprisonment. During the war mortality among the inmates of the gulag increased sharply so that one half of those who perished in the gulag did so in the war years, particularly between 1941 and 1943 and mainly of malnutrition related causes. German invasion of the USSR caused food shortages everywhere in the Soviet Union, however, malnutrition and the consequent mortality in the gulag was much more severe than among free Soviet citizens in the unoccupied USSR. The most proximate cause of the crisis for the inmates of the gulag was that they were being kept imprisoned, mostly unjustly, with little aces to food, not that the Germans had invaded the Soviet Union and caused a general shortage of food. Had the regime released the inmates it was unable to feed they would have stood a far better chance of surviving than they did in the camps. This would have only benefited the war effort as a gulag inmate was only half as productive as a free laborer. Another major category of Soviet citizens who suffered lethal repression at the hands of the Soviet regime during the war were deportees in internal exile. Deportees were usually stripped of their civic freedoms, lost most of their property and were often dumped in some of the most inhospitable parts of the Soviet Union, condemned to live in “special settlements” they would often first yet have to build. Besides working in the exile colonies themselves they were lent out to industries as unfree labor, or, during the war, could find themselves conscripted into the Labor Army. The exile groups experienced a far higher rate of mortality compared to the rest of the Soviet population, particularly in the first several years of their exile, after which their circumstances usually gradually improved. Under Stalin the Soviet Union internally exiled just over 6 million people of whom 2 million during the war itself, 383 thousand immediately preceding the war in 1940-41, as well as 700 thousand in the second half of the 1930s. Russian demographer D.M. Ediev estimates that until 1952 between 700 thousand and 1 million people had died as a consequence of deportations, however, the question here is how many of these perished during the four years of the war itself. Ediev calculates the total excess mortality among the 1383 thousand exiled Soviet Germans and Finns who were mainly deported 1941 was 248 thousand. Similarly the excess mortality among the 1025 thousand deported Karachais, Kalmyks, Chechens, Ingushetians, Balkars, Crimean Tatars and Meshketian Turks who were deported in 1943 and 1944 was 226 thousand. Nearly three quarters of the 380 thousand who were exiled in 1940 and first half of 1941 were former Polish citizens, who were therefore subject to an amnesty of August 17th 1941 and June 30th 1943. Since their banishment was much shorter their losses would have been considerably smaller than those of the the Soviet Germans and Finns who were deported in the second half of 1941. Combined, until 1952 the exile groups deported from 1940 to 1944 may have experienced about 500 thousand excess deaths. Given that deportees were most likely to die in the first few years of their exile it is probable just under half of these 500,000 deaths occurred during the war itself. Along with the excess losses of the more “settled” exiles deported in the 1930s the total figure of wartime deaths among exile groups in special settlements and the Labor Army may be around 300 thousand. It is well documented that 1941 through 1945 civilian courts in the USSR sentenced to death 22,572 people for criminal offenses and 42,149 people for political offenses. Additionally, as has been discussed in section 2, during the war some 135 thousand Red Army soldiers may have been executed after a court martial. Furthermore during the initial stage of the war the NKVD carried out prison massacres against inmates of Soviet prisons in the western USSR. Due to the speed of the initial German advance across USSR territory and the existing demands on the Soviet transportation system the Soviet authorities found it impossible to evacuate the prisons lying in the path of the Germans in time. Rather than leave them to the enemy the center ordered local NKVD guards to evacuate only some categories of prisoners, release others and execute still others. Consequentially the NKVD massacred about 8,789 inmates in prisons in Ukraine and 530 in Belarus, an additional 940 prisoners during the evacuations from these prisons, and an unknown number in the prisons in Baltic republics. The number executed in such circumstances is therefore not fully certain, however, the losses among the prisoner population that were sustained in this way are counted in the 85 thousand wartime losses among the prison population anyway. Altogether, in the course of the war about 210 thousand Soviet citizens were outright executed or massacred by the Soviet security apparatus. Altogether during the Soviet-German war of 1941-45 there were around 1.5 million deaths of Soviet citizens due to repression of the Soviet authorities. 1 million deaths among the captive population in the gulag and the prisons, 200 thousand condemned to death and executed of whom 65 thousand civilians and 135 thousand military, as well as roughly 300 thousand internal exiles who perished during the war as a consequence of deportations and conscription into the labor army. 19. Michael Haynes and Rumy Hasan, A Century of State Murder? Death and Policy in Twentieth-Century Russia (London: Pluto Press, 2003) 214-215. 20. For the size, time and composition of individual deportation operations see Pavel Polian, Against Their Will: The History and Geography of Forced Migrations in the USSR (Budapest: Central European University Press, 2004) 327-333. For the figures on mortality see Dalkhat Ediev, Demograficheskie Poteri Deportirovannyh Narodov SSSR (Stavropol’: StGAU “AGRUS”, 2003) 302-303. 22. Stephen Wheatcroft “Victims of Stalinism and the Soviet Secret Police: The Comparability and Reliability of the Archival Data — Not the Last Word”. Europe-Asia Studies Vol. 51, No. 2 (1999): 337-338. 23. Aleksandr Gur’yanov and Aleksandr Kokurin “Èvakuacija tjurem. 1941”. Rossijskij istoricheskij zhurnal “Karta” No.6 (1994): 16-27. Having gone through Bionic Mosquito’s The Chief Culprit post forum-style, and offered comment to individual statements I would also like to offer commentary on his post and his musings as a whole. In his article Mosquito spends almost the entire text talking about hardware. The reader is supposed to be convinced of the immense power of the USSR’s Red Army on the account it could field twenty thousand tanks and fifteen thousand aircraft — more than the entire rest of the world combined. But to the contrary what Mosquito seems to believe this is no indication the Soviet Union considered itself remotely ready for war. As anyone who has ever operated heavy machinery may attest to, an experienced operator will be many more times more efficient than his counterpart without experience. 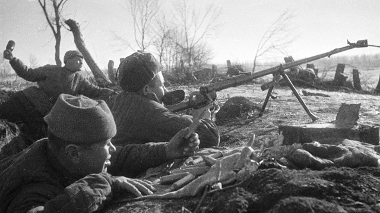 The USSR may have had thousands of aircraft and tanks, but did it have operators to match? In July 1941 the Soviet Union was in a possession of an armed force that was lush with advanced weaponry, but that was still suffering from extremely severe deficiencies when it came to organization, leadership and training. To address these it was involved in hurried training programs and was actually still in the midst of an extremely ambitious program of reorganization and reform that would not be complete until mid 1942. Through most of the 1930s — that is up until the disturbance of the purges — the Soviet Union held a technological lead in combat aircraft and tanks over all the other great powers. 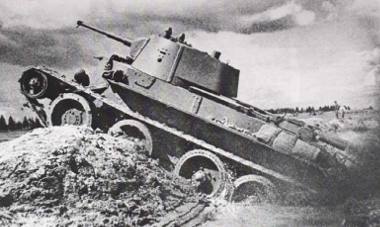 On the eve of the war its air and tank fleets were no longer state of the art as they were mostly made up of designs from the mid 1930s (such as the I-16 fighter and the T-26 tank). Nonetheless in well-trained hands these would have been perfectly respectable weapons. The quality and quantity of its weaponry was never a Soviet weak point but on the contrary something the Soviet system excelled at providing. The Achilles heel of the Soviet armed forces was its unsettledness. The Soviet Union went about its build up of the Red Army in the same radical manner it went about everything else — at a breakneck speed and expecting the maximum results in the shortest amount of time. As a result it took only a short while for its army to look impressive on paper, but underneath it suffered from critical imbalances and shortcomings. The main idea: Though only a second-best alternative to a nuclear umbrella, a reformed Militia system could still afford weak defenders a way of imposing high costs on much stronger aggressors, with obvious implications for non-territorial defense in a Free Society. 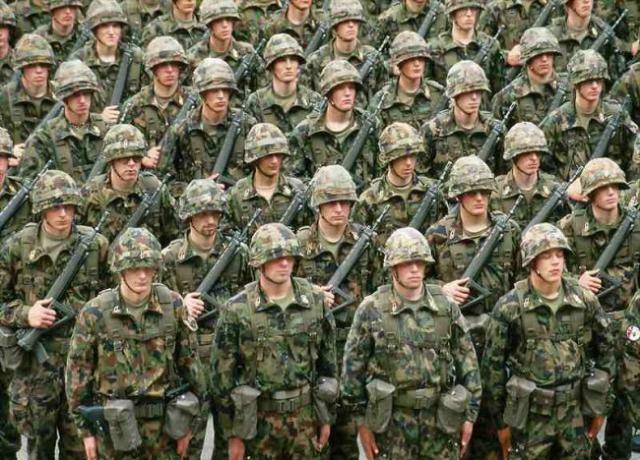 1.1 From the position of a weak believer in the ability of a future Free Society to credibly defend itself by conventional (non-nuclear) means, the idea of a Militia begins to look attractive. If non-territorial private defense agencies would probably be underfunded due to public good problems, if territorial entities could not be large enough to property defend themselves due to rational calculation issues, and if, for the time being, a proper credible nuclear second-strike capability is very expensive to procure (that is, too expensive even for China), than one is left with precious few alternatives when it comes to defending against a stronger attacker. 1.2 And indeed, a Militia system along Swiss lines is held in high esteem by some libertarians, who often compare it to the alternative of behemoth, uber-costly conventional armies creating problems too well-known to discuss. Following widespread popular indignation in the aftermath the Mutiny at Nancy in 1790 , the National Assembly decided to completely overhaul the much despised military disciplinary code. This was a drawn-out reform which took over a year to be carried and was further amended between 1792 and 1793, in the wake of the overthrow of the monarchy. The Terror brought further changes in 1794. These reforms had two aims. First, they broke the absolute power of the officer corps. Second, they attempted to give the soldiers a fairer trial in case of court martial. For minor breaches of discipline (fautes contre la discipline) like drunkenness and disobedience, corporal punishment was strictly forbidden and to be replaced by extra work and confinement. Officers who attempted the old beating by the flat of the sword were to be stripped of their rank, cashiered with dishonor and sent to jail for three years. When anarcho-capitalists argue that protection should be provided in a private manner by companies instead of coercively by governments, opponents maintain that neighboring police agencies will start fighting amongst each other. The argument goes that one company will decide that it will make more money if it physically forces another company out of business, and this sets the stage for endless fighting. 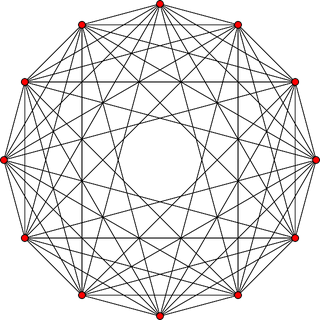 Structures that have many police forces in the same general area are thus bound to fail. Robert Murphy has an excellent refutation of this line of argumentation in his article “But Wouldn’t the Warlords Take Over?”  Here, I will turn the opponents on themselves and challenge them to explain what makes government work.